The Domaine Edmond Rentz produces exclusively very high quality wines. The finesse, depth and flavours of these wines classify them among the “Grand Vins de France”. Their wines are the result of a harmonious relationship between the climatic conditions, the soil and the know-how of the winemaker. The Domaine Edmond Rentz respects and preserves the heritage of the land and men through a reasoned viticulture respectful of the soil, the vine and the environment. 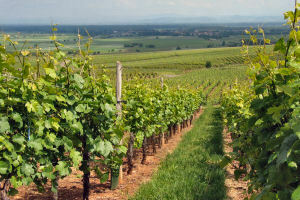 This method of cultivation, which requires more work (grassing, plowing, mowing ...), contributes largely to the development of natural and authentic wines.